Set before the Earth’s beginning in a proto-world populated by spirits, gods, artisans and men of clay and plaster, The Humans — with ‘creation’ as its central theme — is modelled after the ancient Greek plays of Aristophanes. Whilst the theatrical references are ancient, the satire is utterly modern: religion, morality and human hubris are all mocked with an irreverent and biting tone. Beyond this rather ambitious setup, I don’t know much about it. But this weekend I hope to learn more: Saturday, I’ll be on stage, talking with Singh about cosmology, in the first of a series of “Causeries”, this one with the daunting title “The Creation: On Cosmogony and Cosmology” — the other participants are philosophers and historians, and I’m looking forward to seeing whether there is a common thread through the different discussions, and how (or if) they reflect back on the eventual play itself. Urban Sputnik, our collaboration with Vanessa Harden and Dominic Southgate of Gammaroot Design is currently on display at Imperial College in the main entrance of the Norman Foster-designed business school, located on Exhibition Road in London, just up the street from the Science Museum, the V&A Museum and the Natural History Museum. I’ve discussed the pieces that will be on display before, and if you’re anywhere near South Kensington in London over the next few days, please come and see them. If that piques your interest, you can hear more from us directly: on Tuesday evening, November 8, we’ll be hosting a short presentation — with drinks and snacks — talking about the creation of the pieces and the science behind them. For the second time this decade, the Nobel Prize in Physics has been awarded for cosmology, to Saul Perlmutter, Adam Riess and Brian Schmidt. They are among the leaders of the teams that used the properties of supernovae — exploding stars — to measure the rate of expansion of the Universe over time. In so doing, they found that the expansion has been speeding up for the last few billion years. This is difficult to accommodate in a Universe with matter that experiences gravity in the attractive way to which we are accustomed; instead it seems to require that the Universe today be dominated by an exotic form of matter given the purposely uninformative name “Dark Energy”. This is exemplified by Cosmological Constant, a term Einstein originally included in his equation of General Relativity but abandoned when it did not fit the available data — Einstein’s motivation was not to have an accelerating Universe, but a static one, with the attraction exactly balanced by the acceleration. In the late 1990s, those two groups began to see evidence of acceleration on larger scales than Einstein envisaged, evidence that has only got better over time (especially, I should say, when combined with evidence from the Cosmic Microwave Background on the flat overall geometry of the Universe). The big problem with Dark Energy isn’t the observations, however, but the underlying theory — there is no good particle physics model which allows a cosmological constant anything like we see today. The simplest ideas say that it is just zero, and the next simplest give something that is about 10 to the power 122 or so too large. Luckily, cosmologists and astrophysicists have ideas to solidify the supernova results and hopefully get a handle on the underlying nature of whatever is causing the acceleration, by mapping the expansion of the Universe in space and time in even more detail. There are a plethora of ground-based telescopes making observations already, but the next step will be to go to space. 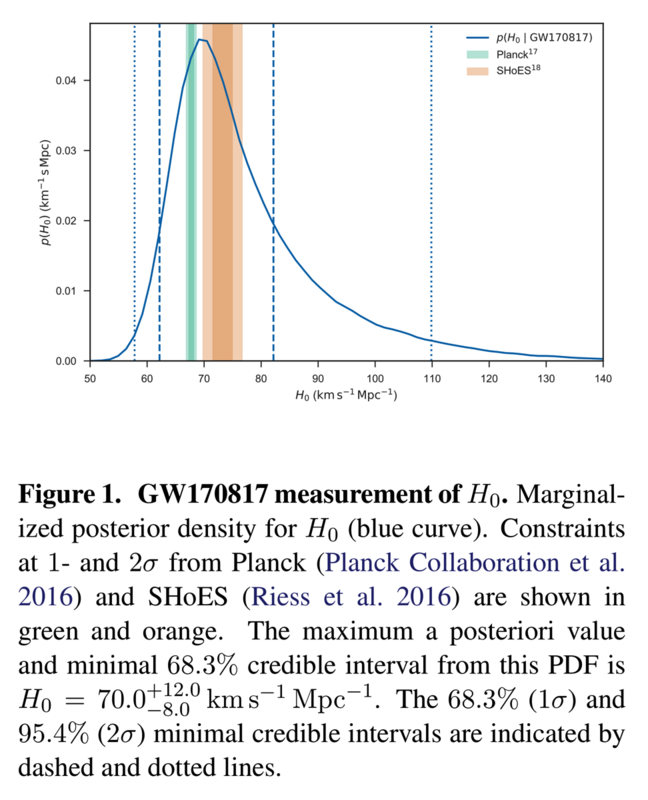 And it turns out that there is another reason why this is a great day for scientists studying Dark Energy: we have just had word that ESA has decided that one of its next M-class (“M” for “medium”) will be Euclid, a satellite explicitly designed to measure the properties of the accelerating Universe. We’ve designed five different exhibits, and, supported by an award from the STFC, Vanessa and Dominic have made two of them. One tries to show how the shape of the Universe can seem flat up close, but curved due to the mass and energy on the largest scales. Another shows how the expansion of the Universe results in a redshift — light from further away loses energy, changing its wavelength and frequency. The pieces are on display at the Royal Institution through 29 July, and there’s a closing event on Thursday 28 July where we’ll talk about the exhibit and both the science and design principles behind it (the event is free, but tickets are recommended to be sure you get a seat!). This year’s UK National Astronomy Meeting will be held 17-21 April, in Llandudno, North Wales. In the usual way of British “seaside resorts” (scare quotes are certainly appropriate for that phrase) Llandudno sticks frighteningly out into the Irish Sea but, you never know, it might actually seem like Springtime when we gather there. In any event, there is a lot of astronomy going on in the UK, so NAM is a pretty big meeting, with significant communities working on everything from our solar system out to intergalactic space and the Universe as a whole. 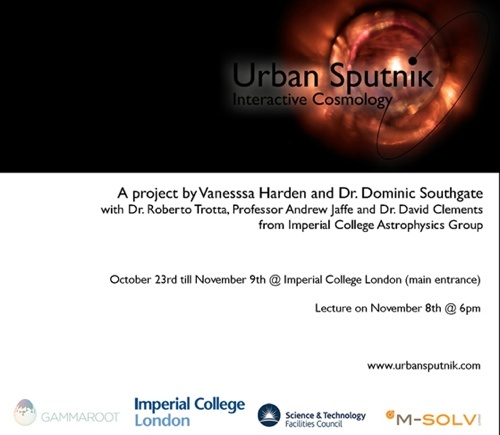 To help cover those large scales, I’m organizing a series of sessions on Cosmology, and there are still some open slots for any UK scientists. 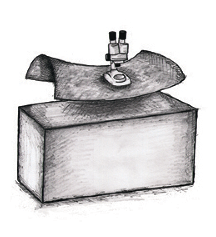 I would especially love to have lots of input from students and young postdocs looking to show off their work. The deadline for the submission of abstracts is this Friday — please join us in Wales next month! As readers here will know, the Bayesian view of probability is just that probabilities are statements about our knowledge of the world, and thus eminently suited to use in scientific inquiry (indeed, this is really the only consistent way to make probabilistic statements of any sort!). Over the last couple of decades, cosmologists have turned to Bayesian ideas and methods as tools to understand our data. This book is a collection of specially-commissioned articles, intended as both a primer for astrophysicists new to this sort of data analysis and as a resource for advanced topics throughout the field. In recent years cosmologists have advanced from largely qualitative models of the Universe to precision modelling using Bayesian methods, in order to determine the properties of the Universe to high accuracy. 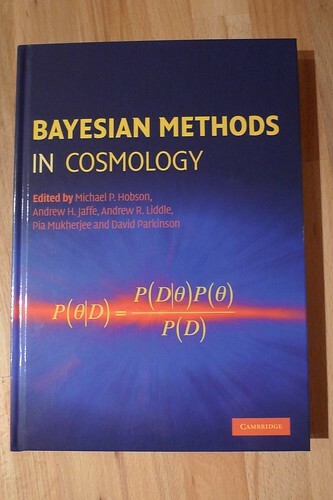 This timely book is the only comprehensive introduction to the use of Bayesian methods in cosmological studies, and is an essential reference for graduate students and researchers in cosmology, astrophysics and applied statistics. 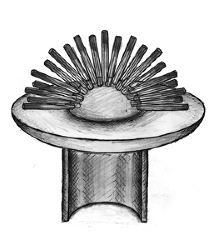 The first part of the book focuses on methodology, setting the basic foundations and giving a detailed description of techniques. It covers topics including the estimation of parameters, Bayesian model comparison, and separation of signals. 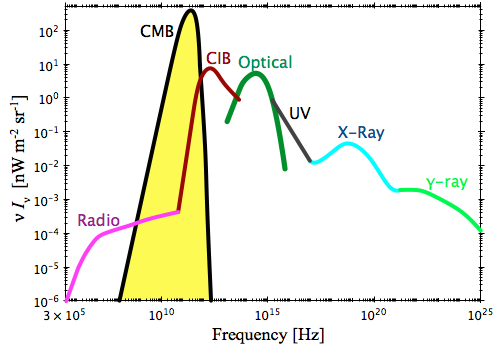 The second part explores a diverse range of applications, from the detection of astronomical sources (including through gravitational waves), to cosmic microwave background analysis and the quantification and classification of galaxy properties. Contributions from 24 highly regarded cosmologists and statisticians make this an authoritative guide to the subject. You can order it now from Amazon UK or Amazon USA. Today is Ada Lovelace Day, “an international day of blogging to draw attention to women excelling in technology.” I — along with more than a thousand other people — have pledged to write about a female role model in technology. Ada Lovelace was Byron’s daughter and worked with computer pioneer Charles Babbage on his “Computing Engines” — and is widely thought of as the first computer programmer. A reconstruction of the “Difference Engine” is on view at the Science Museum around the corner from here, and if you’re reading this on 24 March, you can go and talk to Ada herself! But I want to talk not about a programmer, but a computer. That is, a computer named Henrietta Swan Leavitt. In the early 20th Century, some (always male) astronomers had batteries of (almost always female) “computers” working for them, doing their calculations and other supposedly menial scientific work. Leavitt — who had graduated from Radcliffe College — was employed by Harvard astronomer Charles Pickering to analyze photographic plates: she counted stars and measured their brightness. Pickering was particularly interested in “variable stars”, which changed their brightness over time. The most interesting variable stars changed in a regular pattern and Leavitt noticed that, for a certain class of these stars known as Cepheids, the brighter ones had longer periods. Eventually, in 1912, she made this more precise, and to this day the “Cepheid Period-Luminosity Relationship” remains one of the most important tools in the astronomers box. It’s easy enough to measure the period of a Cepheid variable star: just keep taking data, make a graph, and see how long it takes to repeat itself. 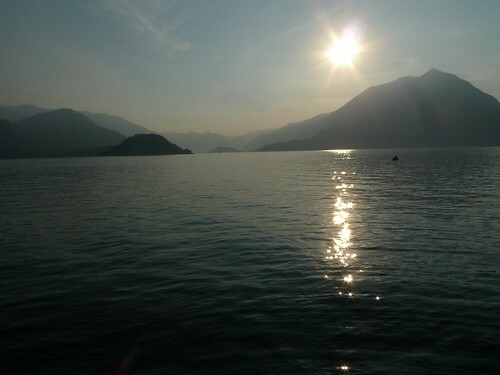 Then, from the Period-Luminosity relationship, we can determine its intrinsic luminosity. 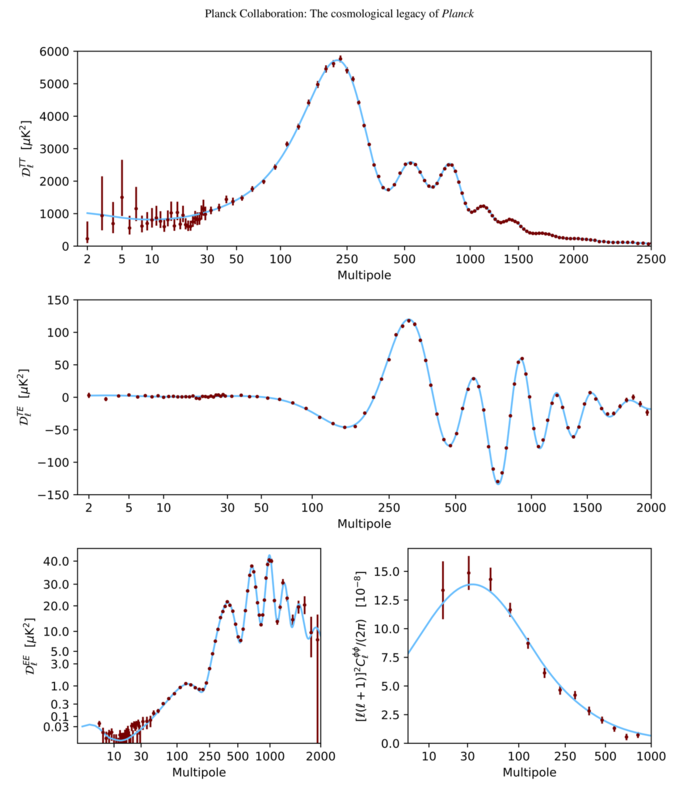 But we can also easily measure how bright it appears to us, and use this, along with the inverse-square relationship between intrinsic luminosity and apparent brightness, to get the distance to the star. That is, if we put the same star twice as far away, it’s four times dimmer; three times as far is nine times dimmer, etc. This was just the technique that astronomy needed, and within a couple of decades it had led to a revolution in our understanding of the scale of the cosmos. First, it enabled astronomers to map out the Milky Way. But at this time, it wasn’t even clear whether the Milky Way was the only agglomeration of stars in the Universe, or one amongst many. Indeed, this was the subject of the so-called “great debate” in 1921 between American astronomers Harlow Shapley and Heber Curtis. Shapley argued that all of the nebuale (fuzzy patches) on the sky were just local collections of stars, or extended clouds of gas, while Curtis argued that some of them (in particular, Andromeda) were galaxies — “Island Universes” as they were called — like our own. By at least some accounts, Shapley won the debate at the time. But very soon after, due to Leavitt’s work, Edwin Hubble determined that Curtis was correct: he saw the signature of Cepheid stars in (what turned out to be) the Andromeda galaxy and used them to measure the distance, which turned out to be much further away than the stars in the galaxy. A few years later, Hubble used Leavitt’s Period-Luminosity relationship to make an even more startling discovery: more distant galaxies were receding from us at a speed (measured using the galaxy’s redshift) proportional to their distance from us. This is the observational basis for the Big Bang theory of the Universe, tested and proven time and again in the eighty or so years since then. Leavitt’s relationship remains crucial to astronomy and cosmology. The Hubble Space Telescope’s “Key Project” was to measure the brightness and period of Cepheid stars in galaxies as far away as possible, determining Hubble’s proportionality constant and set an overall scale for distances in the Universe. The social situation of academic astronomy of her day strongly limited Leavitt’s options — women weren’t allowed to operate telescopes, and it was yet more difficult for her as she was deaf, as well. Although Leavitt was “only” employed as a computer, she was eventually nominated for a Nobel prize for her work — but she had already died. We can only hope that the continued use of her results and insight to this day is a small recompense and recognition of her life and work.